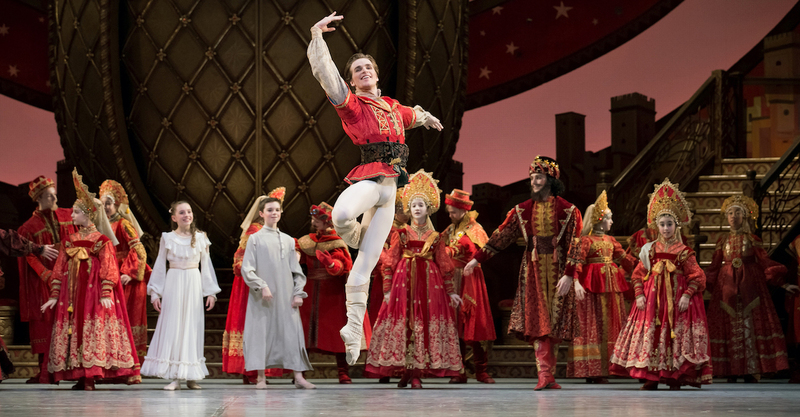 Harrison James with students from Canada's National Ballet School in 'The Nutcracker'. Photo by Karolina Kuras. In 2016, Harrison James was named a principal dancer at The National Ballet of Canada after only three years with the company, which boasts 60 dancers and 10 apprentices. Hailing from the small town of Paraparaumu, New Zealand, James has come a long way, from a more rural upbringing in the “Land of the Long White Cloud” (as the indigenous Maori call NZ) to the metropolitan city of Toronto, filled with soaring skyscrapers. Gaining rave reviews from critics and the Patron Award of Merit from the company’s Patrons’ Council Committee in 2015, James has been recognised as a formidable and highly skilled dancer, one who brings true artistry to each performance. Harrison James, The National Ballet of Canada. Photo by Aleksandar Antonijevic. Dance Informa recently caught up with James to learn more about his journey to where he is today. Here, he shares details on his training, his favourite ballet characters, his upcoming roles, and advice to those looking to pursue dance as a career. Hi, Harrison! To start, can you share when and where you began dancing? In New Zealand when you were growing up, did you feel free and supported in pursuing ballet as a male? “My family was always behind me every step of the way. Of course, kids being kids, I was teased at primary and high school about that part of my life, but it never had me questioning whether or not I wanted to continue dancing. The schools themselves were incredibly supportive of my passion. I always felt that socially, New Zealand really valued the ‘man’s man’ or ‘tough bloke’ – a guy in stubbies, gumboots and a singlet, drinking beer on the porch and watching the All Blacks. 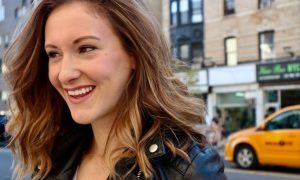 It often weighed heavily on my mind that I wasn’t exactly fitting the mold, but these sorts of thoughts began to evaporate the more I became comfortable in my own skin. Harrison James. Photo by Karolina Kuras. As a teen you trained at the New Zealand School of Dance and San Francisco Ballet School’s Trainee Program in California. What did each school uniquely offer you? 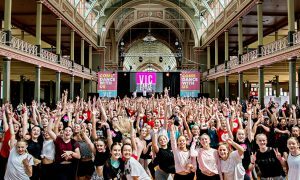 “The New Zealand School of Dance really opened my eyes to the world of dance. Director Garry Trinder pushed for me to join the school and really made me seriously consider for the first time that I could make a career out of ballet. It was incredibly intense training, one of the strengths being the dual contemporary and ballet programs. In a world where ballet companies have repertoire that includes the epitome of classical ballet like Sleeping Beauty followed by something like Wayne McGregor’s Genus, which we performed recently here at The National Ballet of Canada, I find myself often drawing from techniques and teachings I learned from my contemporary classes at NZSD. You first professionally danced with Canada’s Royal Winnipeg Ballet and Béjart Ballet Lausanne. As an artist, what opportunities did these companies give you? What were some highlights at each? “The Royal Winnipeg Ballet had just under 30 dancers when I joined in 2010 and I think this ended up being the biggest bonus for me. A corps de ballet member carries a huge workload in a smaller company and therefore garners a lot of opportunity to grab attention, which is exactly what I did quite early on. So right from the onset of my career, I was getting an enormous amount of stage time and experience. It didn’t really cross my mind at the time, but when I look back and realize that in my second year as a professional dancer I got to tackle the role of Albrecht in Sir Peter Wright’s Giselle, I can’t quite believe how lucky I was! 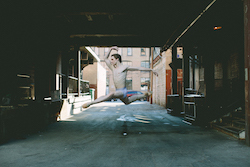 Harrison James of The National Ballet of Canada. Photo by Karolina Kuras. 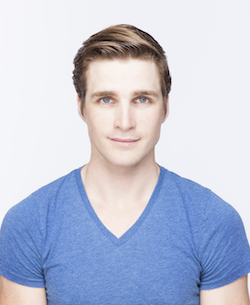 In 2013, you joined The National Ballet of Canada as a member of the corps de ballet. What led you to the company? Only three years in and you were promoted to principal. With this change, have your responsibilities and freedoms in the company changed? Currently, you and the entire National Ballet are in rehearsals for the Canadian premiere of John Neumeier’s A Streetcar Named Desire (running June 3-10, at the Four Seasons Centre for the Performing Arts in Toronto.) You are learning the role of Stanley. Can you tell us about the production and this character? “A Streetcar Named Desire centres around the character, Blanche duBois. 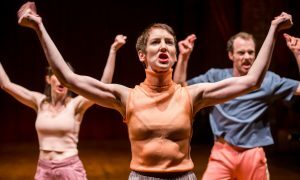 The ballet begins at the end of the story, with her locked in a room at an asylum, and then follows her as she relives her life. 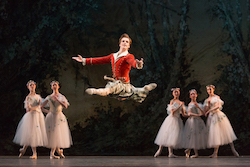 Harrison James with artists of The National Ballet of Canada in ‘La Sylphide’. Photo by Aleksandar Antonijevic. Stanley is the husband of her sister, Stella. Most people know Stanley from the movie as played by the heartthrob of his time, Marlon Brando. Stanley is all masculinity and power, and in the ballet this aspect of him is broken down to its simplest and most crude, often referencing this by beating his chest like a gorilla. He detests the way Blanche attempts to set up a facade around her life, and in the end this is potentially what tips her over the edge by shattering the world she’s created in her mind in a brutish and disgusting way. In addition, you’re in rehearsals to make your debut as Benno in Swan Lake on June 15-25, also at the Four Seasons Centre. When approaching this role, as well as any others, what mental process do you go through to embody your character? “I always reserve layering my character very much until I’ve learnt the whole ballet and often wait until I’ve danced the whole thing in rehearsal. After that, it’s easier to step back in my mind and see where the character might build and give myself stories to give reason to their actions. All in all, what are some of your favourite characters that you’ve had the pleasure of performing across your career? Why? Do you have any tips or advice you would like to share with young boys looking to follow in your footsteps one day? Looking to the horizon, what long-term goals do you have? Now that you’ve reached principal status, are you setting new aspirations? To follow Harrison James at The National Ballet of Canada, stay tuned in to the company’s various engagements at national.ballet.ca.